Mr. Siegel has over 20 years of experience analyzing and valuing commercial real estate as a consultant, advisor and investor. Mr. Siegel holds the MAI designation as a Member of the Appraisal Institute and is a licensed Certified General Real Estate Appraiser by the States of Illinois and Wisconsin. Mr. Siegel as President of S. Siegel and Associates, Ltd. has prepared over 2,500 commercial real estate appraisals and consulting reports in 22 states with an estimated value in excess of $5.0 billion. 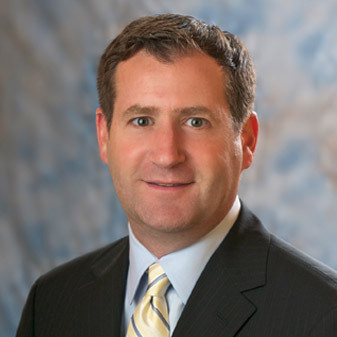 Mr. Siegel has served as an expert witness in real estate litigation proceedings at local, state and federal levels. His diverse background in various aspects of commercial real estate gives him a unique perspective to facilitate deal structuring to meet clients needs. A positive attitude, attention to detail and ability to follow transactions through to completion has encouraged clients to rely on Mr. Siegel for his extensive expertise. Mr. Siegel has prepared consulting reports and market value appraisals for financing purposes, insurance, estate planning, highest and best use studies, marketability and feasibility, and analysis of real estate tax assessments. The types of properties include retail, office, industrial, multi-family, residential subdivisions, hotels, vacant development sites, and special purpose properties. Mr. Siegel holds an undergraduate degree from the University of Arizona and is a mentor for the Harold E. Eisenberg Foundation Real Estate Mentorship Program.